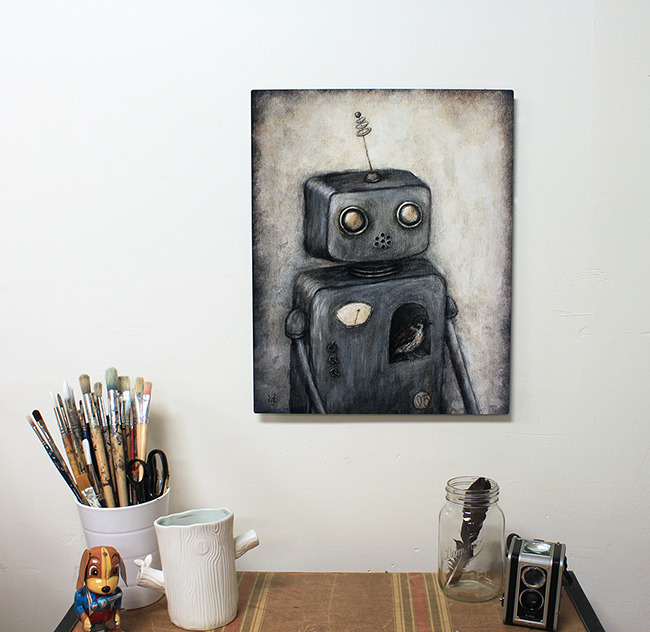 I’m super excited to announce that my robot paintings are now available bigger than ever! Up until now, after the original painting has sold, I’ve only been able to offer prints up to 8×10. 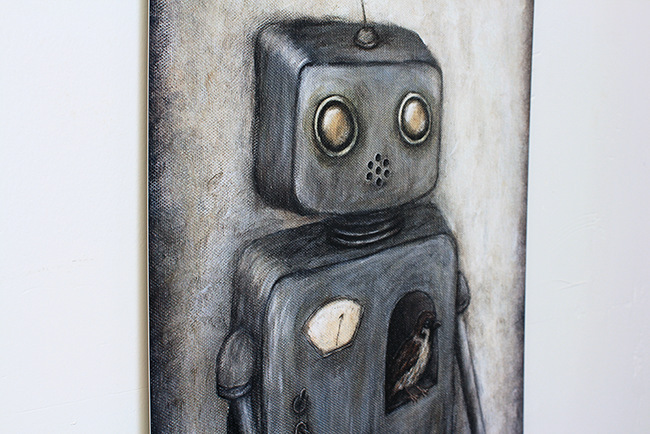 I’ve been working with a professional printer to come up with a new product that I adore – robots on metal! 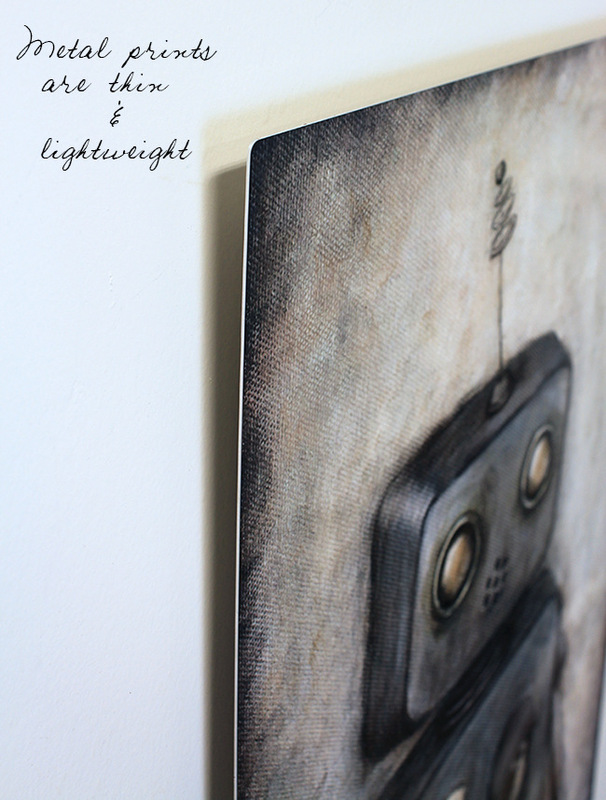 The thin metal sheet is super lightweight, so even at 16×20 inches, it is still easy to hang. A French cleat is attached to the back so the robot sits about 1/2 an inch off the wall. No additional framing needed. The glossy finish looks gorgeous (though difficult to photograph) & only requires dusting with a soft cloth. The process my print company uses to infuse the metal with the ink is archival quality & should last long after robots have begun to rule the world. This limited edition series of metal prints is listed for sale in my Etsy shop. Click here to order online. I will also have him available for pick up in person in Vancouver. We will be at Granville Island Public Market from September 2nd through 7th.